Award-winning YEZI is the first restaurant in Malaysia to use coconut-based broth in its steamboat, with five unique variants to choose from including Organic Chicken, Imperial Canton, Taiwanese Beef Spice, ‘Shao Xing’ Wine Seafood and Wild Forest Truffle Mushroom. Dishes are freshly prepared in the kitchen daily using raw ingredients that are mostly organic, pesticide-free, and exclusively imported. 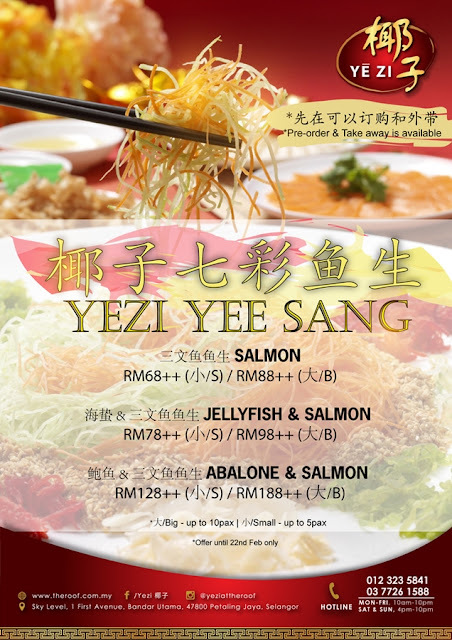 Have a memorable family reunion this Chinese New Year by treating your loved ones to one of Yezi's lip-smacking Cantonese-style steamboat packages, which comes with auspicious Prosperity Yee Sang. Promotion B are inclusive of the Jelly Fish and Salmon Yee Sang. Steamboat package menu comes with geoduck, tiger prawn, white clams. fresh pork slices, lamb slices, tung choy pork balls, squid balls, wagyu beef tendon balls, fried lobster salad balls, prawn and fish paste, vegetables, mushroom, white tofu, eggs, udon, and sealed with fragrant homemade coconut ice-cream. Happy Saturday! 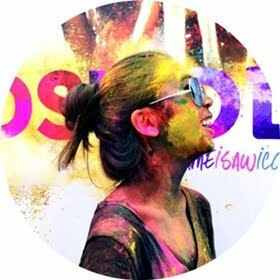 Great news for everyone! 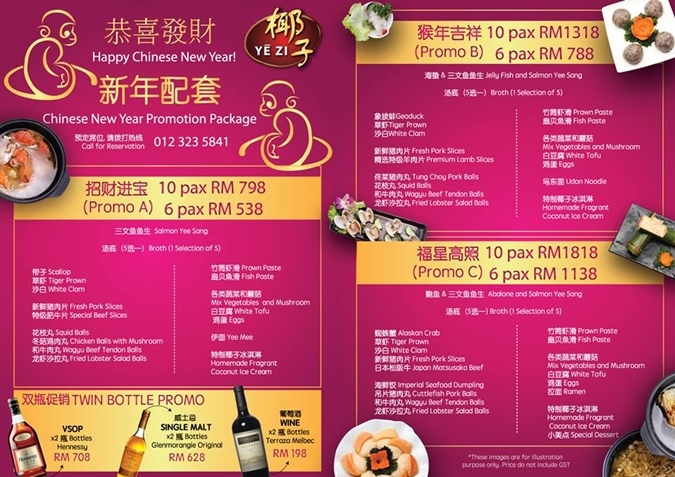 We are starting our "CNY OFFER" next week! BUY 1 FREE 1 promotion for our Japanese and Chinese cuisines throughout Chinese New Year! Valid from 25th Jan till 23rd Feb 2016. Enjoy this special promotion NOW @ www.shogun2u.com. T&C Apply: Not valid with any other promo codes and offers.